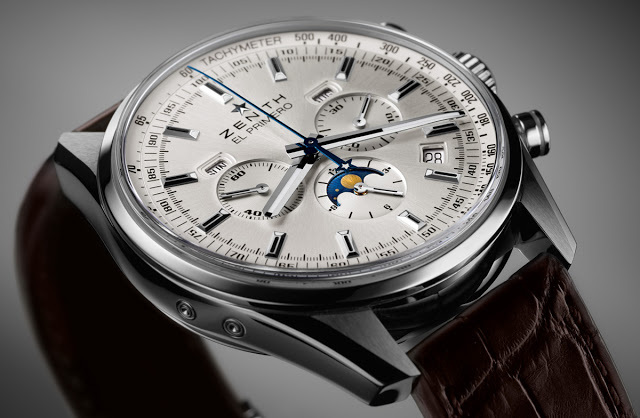 Inspired by the original of 1969, the Zenith El Primero 410 is a retro-styled chronograph with triple calendar and moon phase functions, with the famed 36,000 bph chronograph calibre inside. 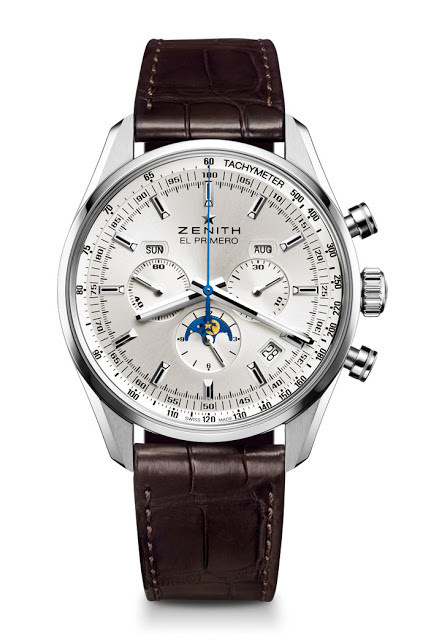 Zenith has leaned heavily on its past for its current collection of timepieces, and the new Zenith El Primero 410 continues that strategy. Like all the other Zenith reissues, the El Primero 410 has the same calibre as its 1969 inspiration, a testament to the longevity of Zenith’s most famous movement. 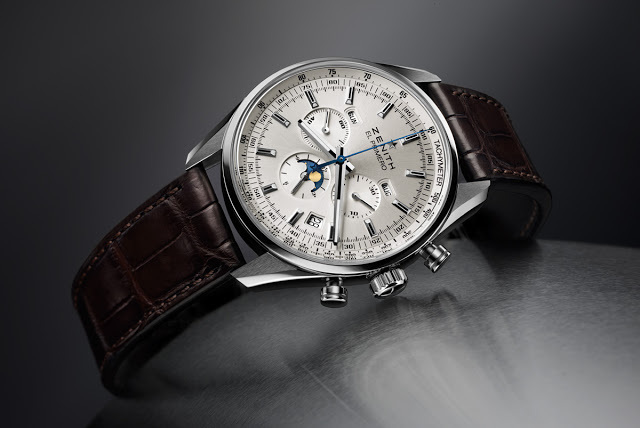 With the same movement, the functions of the remake are identical to the original – a chronograph, triple calendar (day, date and month) and moon phase. The dial is silver with a sunray brushed finish, with a blue steel chronograph seconds that matches the blue of the moon phase disc. Though the reissue is heavily inspired by the original of 1969, retaining the same lines and form, the case is larger, at 42 mm in diameter. And of course it has the other de rigeur feature of a modern watch, a sapphire display back. 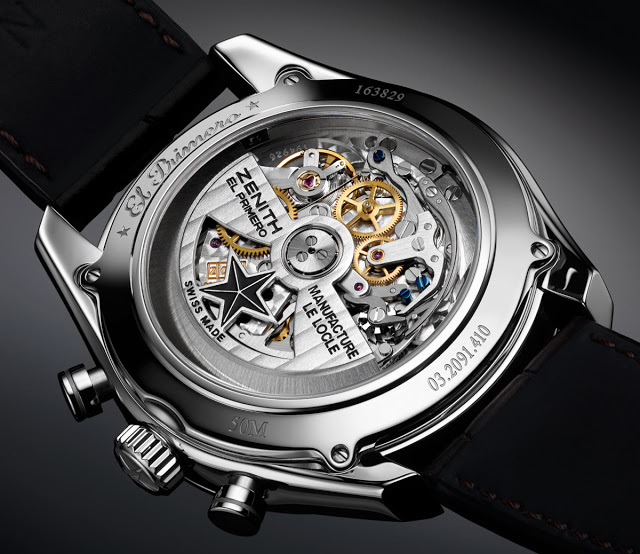 The El Primero 410 will retail for €8100 before taxes (~US$11,100). Follow us on Facebook, Instagram and Twitter for updates and news.